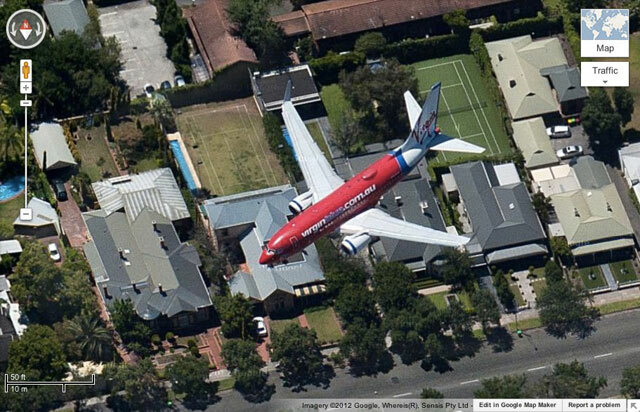 The Google Maps team shared a picture captured by Google Maps satellites of a plane flying through the sky above houses. The picture was taken over Adelaide, the capital city of South Australia probably near the airport. This is a rare image of Google Maps capturing an airplane during flight through its satellite imagery. You can see this on the maps by clicking over here. Google Maps shared this on Google+.